Apparently not even dancing penguins can stop the bleeding at DreamWorks Animation. Shares of DreamWorks (DWA) plunged 8% Monday morning following a terrible weekend at the box office for its latest movie "Penguins of Madagascar." The animated film about four penguins trying to stop an octopus villain from taking over the world generated just $36 million in U.S. revenue over the five-day holiday weekend, according to Rentrak. That's barely half the amount analysts had been banking on. The poor showing is sparking fears DreamWorks will book a loss on the film. It's also raising broader questions about the studio's inability to recreate the blockbuster success of its Shrek franchise. "Growing pressure on the film's top line and elevated costs mean every new release is a potential write-down," Sterne Agee analyst Vasily Karasyov wrote in a note to clients on Monday that reiterated the firm's "underperform" rating. Competitive struggles: Karasyov said the weak film opening highlights the "serious challenges" facing DreamWorks Animation's business model. DreamWorks is grappling with major competition on the animation front from Walt Disney's (DIS) Pixar studio as well as Universal's "Despicable Me" franchise and the Warner Bros. Lego movie. (Warner Bros. is owned by CNNMoney parent Time Warner (TWX)). The struggles to create successful original films means DreamWorks is generating intellectual property "with relatively limited appeal and therefore limited monetization opportunity," Karasyov said. Even hit franchises created by DreamWorks face headwinds. The studio's "Kung Fu Panda 3" is slated to debut around the same time in December 2015 as Disney's hugely-anticipated "Star Wars: The Force Awakens." Buyout hopes dashed? 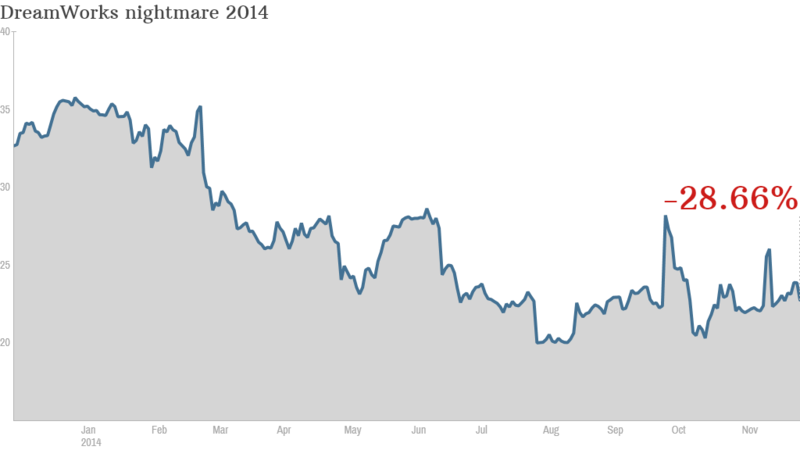 All of these concerns explain why DreamWorks shares have plunged 38% to $22 so far this year. FBR Capital Markets downgraded the stock to "underperform" on Monday. The firm warned DreamWorks could tumble to $14 due to competitive threats and franchise fatigue. Don't bank on this movie having a happy ending created by a rival swooping in with a buyout offer. "Potential acquirers could be put off by uneven film performance and valuation expectations of controlling shareholder Jeffrey Katzenberg," FBR analyst Barton Crockett warned. 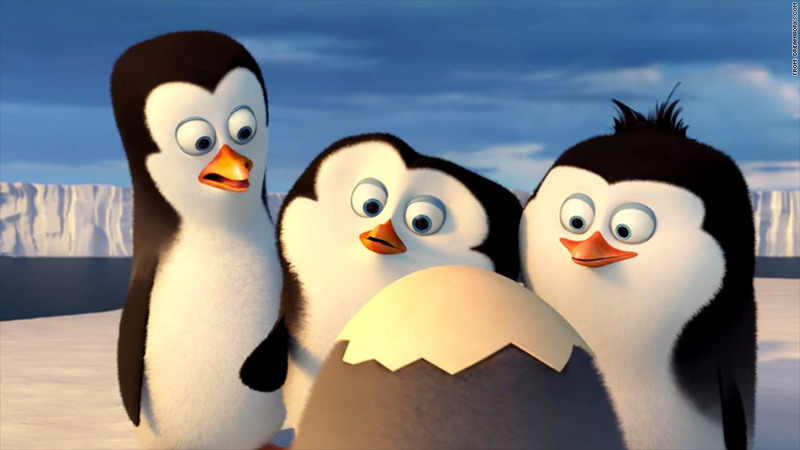 Maybe DreamWorks can create its own undercover inter-species taskforce like the "North Wind" in the "Penguins of Madagascar" to turn things around?